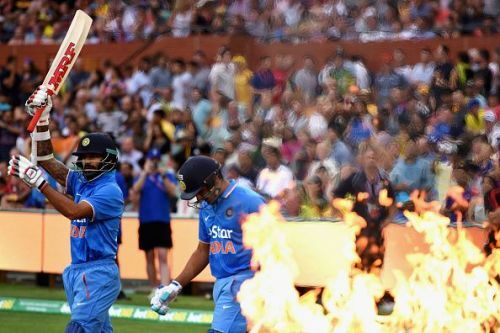 India's upcoming T20I series against Australia has been piquing interest among the fans. Not only does the series mark India's final T20 outing ahead of the World Cup but also gives us a chance to witness some young and exciting talents. Comprising two T20Is, the series will be flagged off with the first game on 24 February in Visakhapatnam. The second game is slated to be played on 27 February at the M.Chinnaswamy Stadium in Bengaluru. 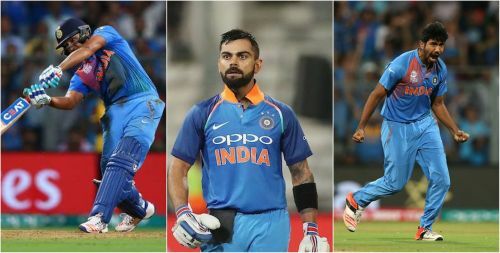 The Indian selectors have decided to rest a few mainstream players ahead of the ODI series, which has opened the gates for some newer prospects; with young leg-spinner Mayank Markande being the most notable among them. Australia, on the other hand, is likely to take the field with a full barrel. The likes of Aaron Finch, Glenn Maxwell, Marcus Stoinis and Pat Cummins among others are expected to lead the charge as the team from Down Under looks to cause a major upset. Here, we take a look at what could be India's strongest playing XI to take on the Aussies in the upcoming series. In recent times, few opening pairs have been as effective as that of Rohit Sharma and Shikhar Dhawan. Perfectly capable of taking the game away from the opposition right from the word go, Sharma and Dhawan have forged an indomitable bond over the past few years. It's no longer a secret that India often does well when its deadly opening pair delivers the goods. The case would be no different when the men in blue take on the Aussies in the T20I series. Be it setting a healthy score or chasing a daunting target, the explosive partnership of Sharma and Dhawan will continue to hold the key for India.